Families and small groups planning an upscale safari in South Africa have a fabulous selection of luxury sole-use villas to choose from. Opulent, spacious and very private, these exclusive villas provide the ultimate safari accommodation in breathtaking wilderness settings. They offer families and small groups of friends the chance to unwind, reconnect with one another away from other guests, and indulge – all this in settings pristine and captivating. Singita Lebombo is a top-ranking safari destination along a river in an exclusive concession in the Kruger National Park where wildlife is abundant. The Family Villa is a sublime extension of the lodge, set apart from the main lodge to make it very private, and featuring two 2-bedroom suites, each with private pool. The two suites link together to make a sublime exclusive-use four-bedroom safari sanctuary with with a beautiful shared swimming pool. Built low down on the river bank beneath mature trees, the private villa has its own complement of staff, and its own kitchen and boma. Mail us. 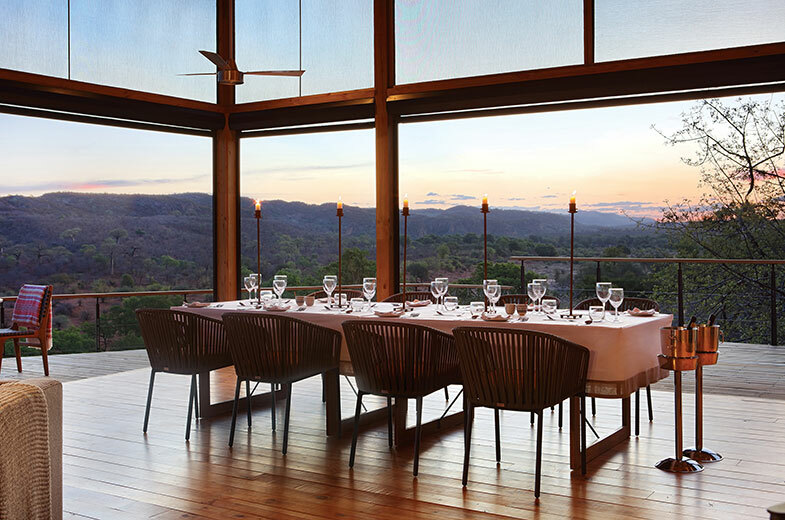 Singita Lebombo Villa is one of the very finest experiences a family could have on safari. Set high to provide the most exquisite views of the wilderness, Ulusaba Clifftop Lodge is a top-notch choice for families on safari in South Africa. This gorgeous villa has two stunning suites offering lavish luxury. The two suites can be booked together as a sole-use villa for families. A private chef and dedicated safari vehicle is provided, and guests at Clifftop Lodge have the use of a private gym and spa room. 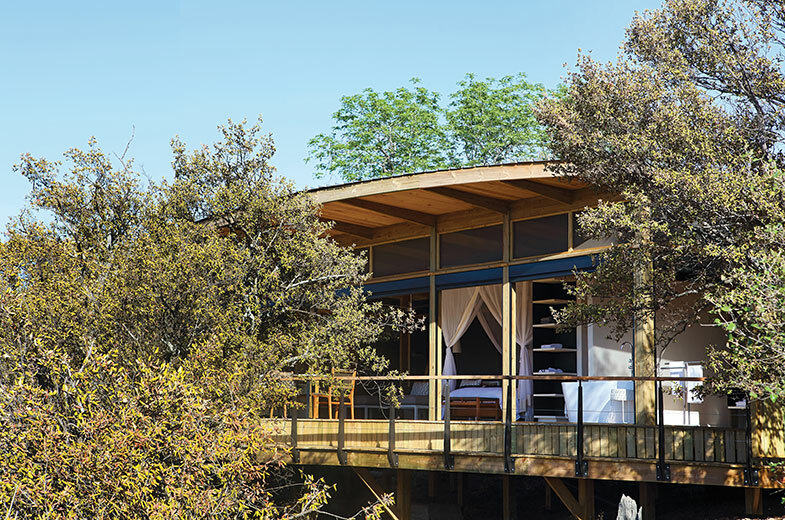 Five adults and four children can be accommodated at this exquisite lodge. Mail us. Pel’s Post is an opulent and eco-friendly sole-use safari lodge at The Outpost, a luxurious safari destination secluded in the pristine Makuleke Contractual Park in the northern Kruger National Park. Eight guests can be accommodated here, in four large and stunning suites set on a river bank and overlooking a vast wilderness. Set your own pace on safari, with a personal chef, private vehicle and guide at your disposal. Mail us. At Fitzpatrick’s at Jocks, families are assured of great comfort and privacy in the Kruger National Park. 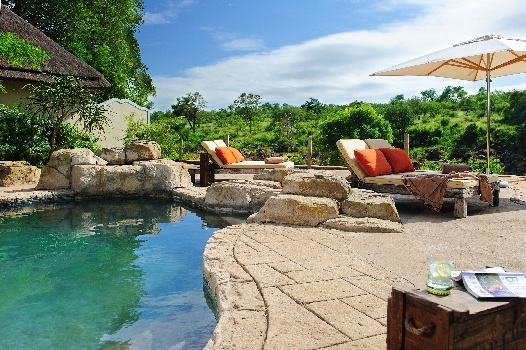 Child-friendly and offering three rooms, a beautiful rock swimming pool, two lounges, fireplace and TV, this is a great option for families seeking a private luxury safari in Kruger National Park. A special safari programme for children includes educational safari drives and activities. Mail us. 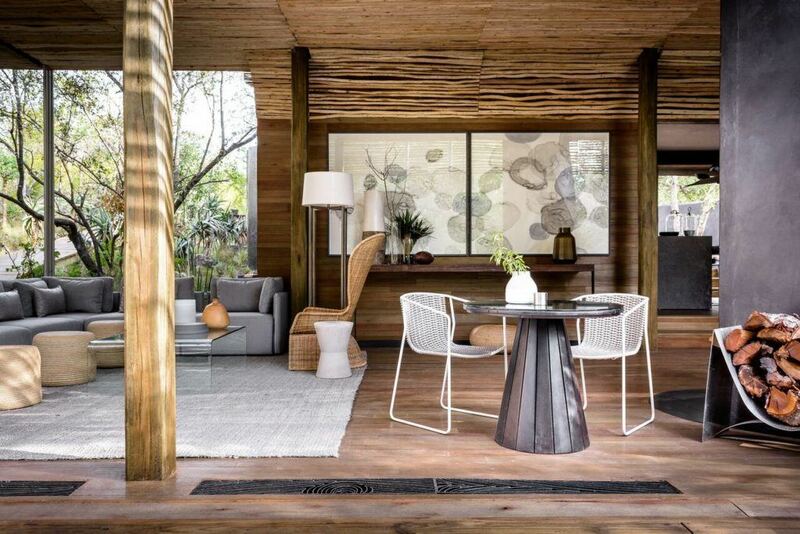 Chitwa House is an exclusive private villa in Chitwa Chitwa Private Game Reserve, Sabi Sands. Guests who stay here have the luxury of tailoring their own safari, because they have a dedicated game ranger to accompany them into the wilderness whenever they choose. The villa has two en-suite rooms, complete with outdoor showers and private decks. The two rooms share a beautiful pool deck that overlooks a lake, as well as lounge and dining area. A private chef will prepare your meals. Mail us. 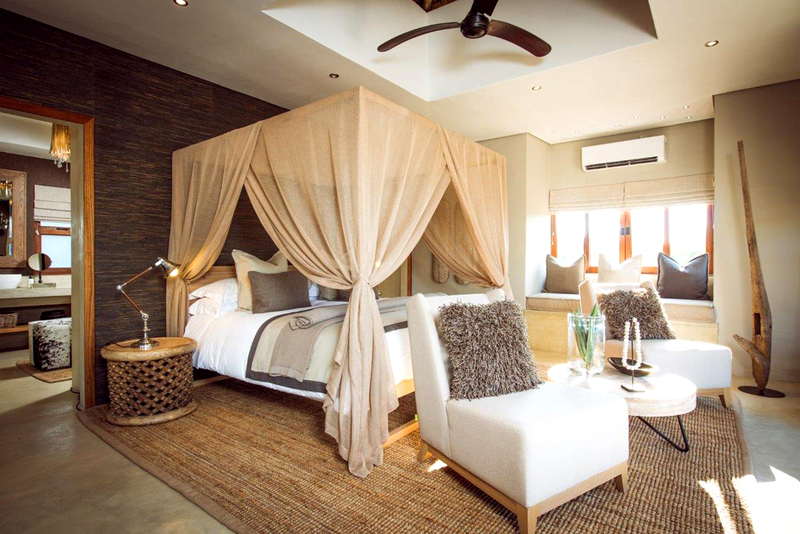 Sabi Sabi accommodates families in mega comfort at the Luxury Villas at Bush Lodge. Each Villa has two magnificent bedrooms and a beautiful lounge and library that open onto a covered pool deck. 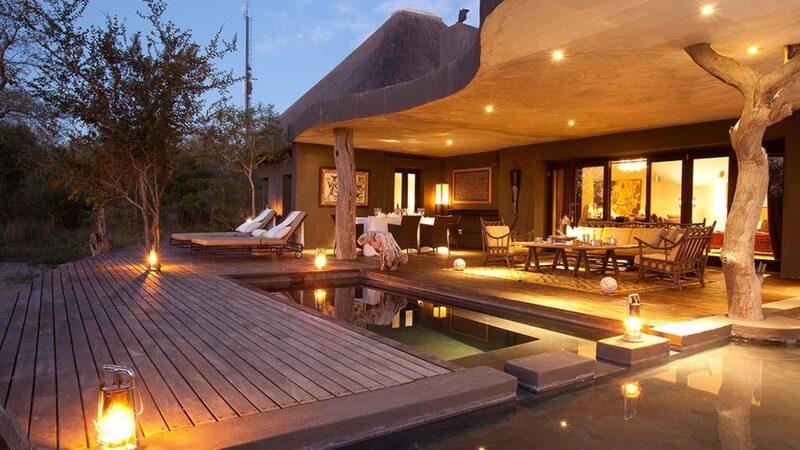 The villas overlook a waterhole where animals gather to drink, creating fabulous views. Mail us. Mail us to book an opulent and unforgettable family safari in South Africa, at a fine sole-use villa, or speak to us on +27 21 797-7122.